Texel Group Nature Park has, between 2,117 and 2,589 m of altitude, nine lakes in the middle of a magnificent mountain landscape. 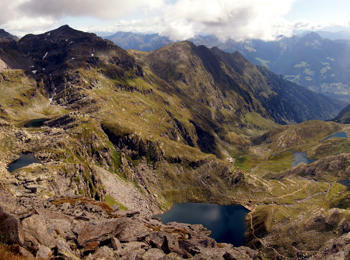 In fact, this is the largest high-alpine group of lakes in South Tyrol – the Sprons lake area. A hike to these mountain lakes allows you to have view with a breath-taking beauty. 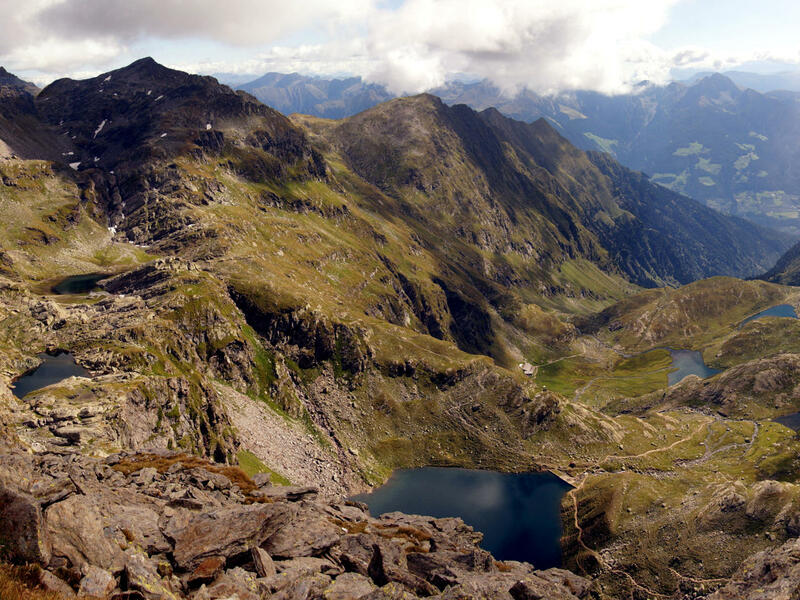 The Sprons Lakes are located northwest of Dorf Tirol in the heart of Texel Group, taking part of the Ötztal Alps. Texel Group Nature Park has an incredible abundance of water: In addition to countless lakes and ponds, the park also offers high-altitude moors with a fascinating flora and fauna. The 9 Sprons Lakes are located in depressions of glacial origin. Earlier, there were more lakes but the smaller ones have silt up over thousands of years. The largest lake is Lake Langsee at 2,377 m with a length of 1 km and width of nearly 300 m. A real gem is the lower, almost circular Lake Grünsee. Also, the Sprons Lakes are significant for the potable water supply in the city of Meran. There are different possibilities how to go on a circular hike around the Sprons Lakes. One variant goes from Pfelders to Faltschnalalm and Sprons pass. If you choose another route, you can take the basket lift from Vellau to Hochgangscharte. Both options are as wonderful as challenging. Hikers will have the best view of the lakes, sparkling in different green and blue colours, from the summit of Spronser Rötelspitze.